Finally it’s here! 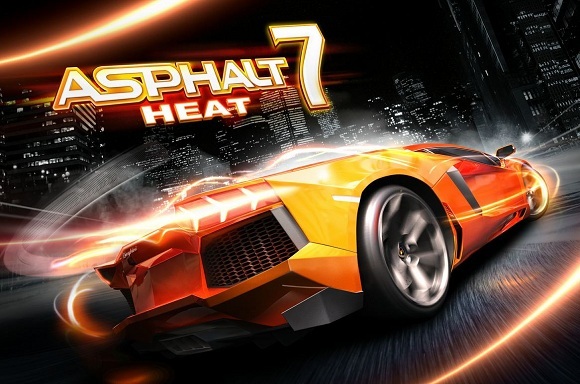 After the success of Asphalt 6, Gameloft has released the much awaited Asphalt 7: Heat has arrived for the iPhone and iPad. With the Asphalt 7: Heat, users can now choose from over 60 cars to race, includes revamped and improved multiplayer mode, the new Asphalt tracker allows you to compare stats, challenge rivals and more. A FIRST-CLASS LINEUP: Drive 60 different cars from the world’s most prestigious manufacturers, like Ferrari, Lamborghini and Aston Martin, including the legendary DeLorean. RACE ACROSS THE GLOBE: Gear up to race on 15 tracks set in real cities around the world, including brand new tracks in Hawaii, Paris, London, Miami and Rio. CHALLENGE THE WORLD: The completely revamped multiplayer lets you take on up to 5 of your friends locally or online. Keep track of who’s the best with the new Asphalt Tracker that lets you compare stats, show off achievements and challenge rivals. You can also find new online opponents with the matchmaking system. Practice haHit the speed of heat in the newest, fastest, most visually stunning edition of the famed Asphalt series. RACE ACROSS THE GLOBE: Gear up to race on 15 tracks set in real cities around the world, including brand new tracks in Hawaii, Paris, London, Miami and Rio. rd, because there are special events that will pit you against the best in the world! YOUR WAY OR THE HIGHWAY: Play however you please with 6 different game modes packed with 15 leagues and 150 different races. CUTTING EDGE GRAPHICS: Every car and track is more beautiful than ever thanks to graphics that push the limits of your device and the Retina display. A RECORD OF SUCCESS: Acclaimed by both media and players, the Asphalt license has already attracted several million players worldwide. The game is available for iPhone 3GS, iPhone 4, iPhone 4S, iPod touch (3rd generation), iPod touch (4th generation) and iPad and requires iOS 4.0 or later. Also it weighs about 1.11 GB so don’t forget to download it via Wi-Fi.